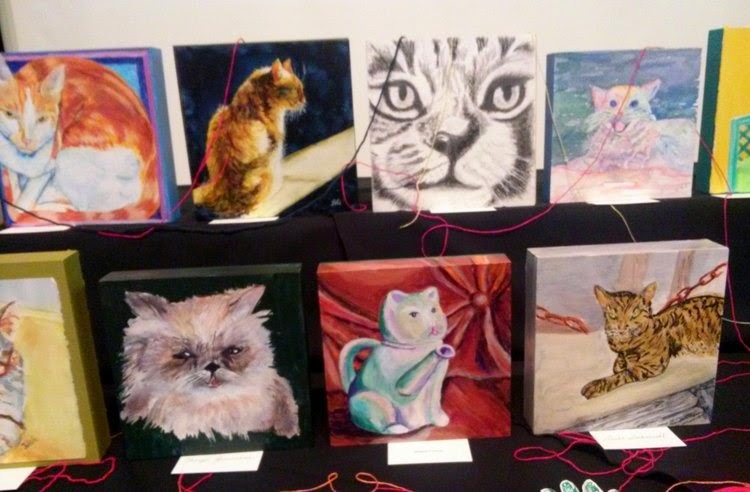 Today was the day to turn in our painted boxes to the Jacksonville Artists Guild for their "Cat's Meow" show, to raise money for First Coast No More Homeless Pets. The panels will be on display at the Reddi-Arts "Gallery 1037" In January, and of course for sale there. 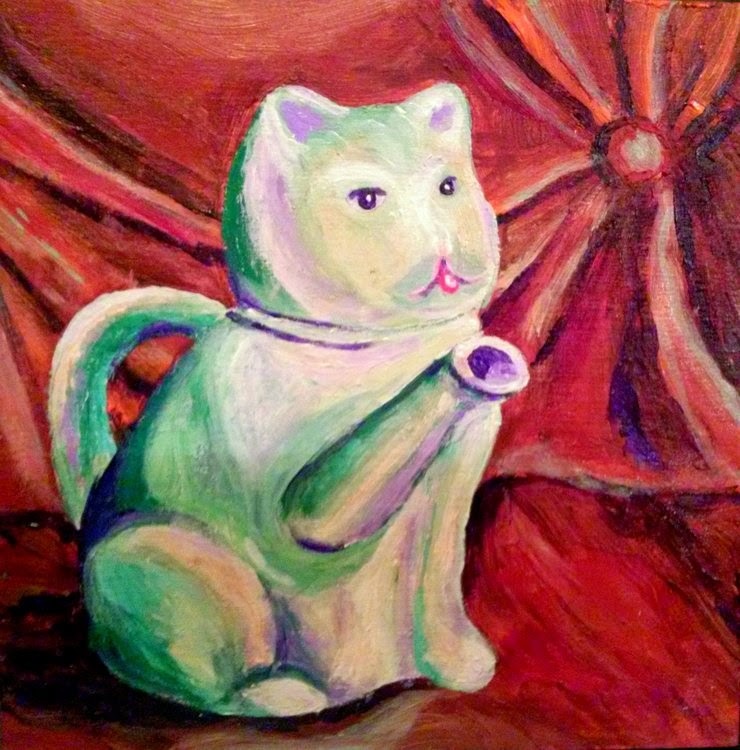 Since the paintings were due today I finally sat down and painted mine yesterday - a little different since I did a cat teapot rather than an actual cat! But I figured there would be plenty of variety. 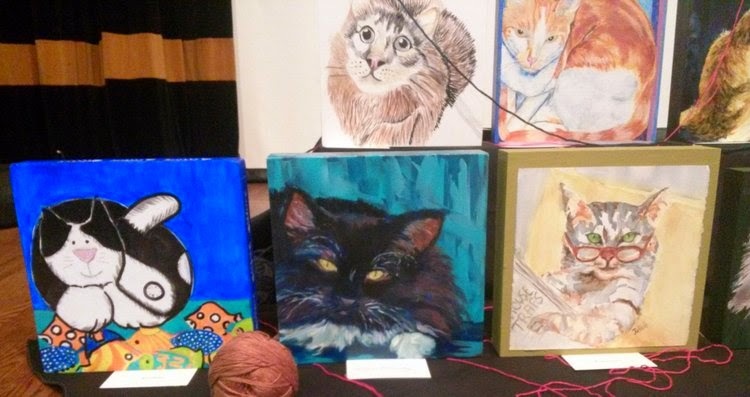 I didn't get to see all of them since I didn't stay for the holiday party but just dropped off my painting and ran, but here's a sample of some of the other cat art that had already been delivered.